At Brampton Pallet, we are committed to the recycling process and conserving our natural resources. That is why we take an active role in not only producing high quality products, but making sure that pallets do not end up in landfills once they reach the end of their usefulness. That is why we promote the pallet recycling process, which safely disposes scrap pallets. You can even make a few dollars back in the end! It all begins when you e-mail Brampton Pallet to let us know that you have scrap pallets to pick up. We begin the recycling process then by coming to your business location to pick up your scrap pallets. Generally, we will only come to your business if you have at least a truckload of pallets, so please contact us ahead of time. We then take them back to your facility, sort them into good, broken, or recyclable, and move on to the next phase. Recycling for wood pallets is really a blanket term. Many pallets can be refurbished, dismantled, remanufactured (also known as Reman), or grinded into components for fiber products. For many, pallet recycling is often a last resort. Many of them can be salvaged to be refurbished and sold to other businesses. When pallets are completely taken apart and used to make new pallets this is part of the remanufacturing process. 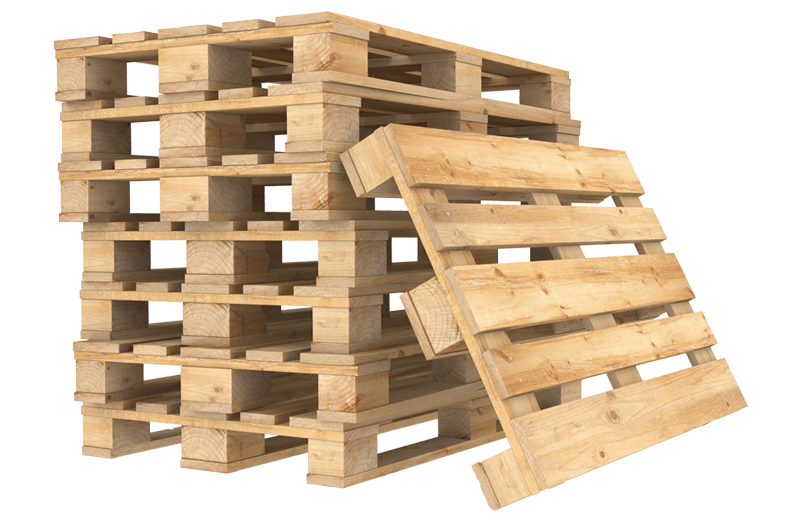 Pieces of the pallet that are not broken can be rebuilt into new pallets for sale. Sometimes that is not enough, however. That is where the grinder comes in. We can take broken pallets and throw them into the grinder, where they are broken down into useful wood chips and mulch. They can be used as biomass fuel in greenhouses for heat.